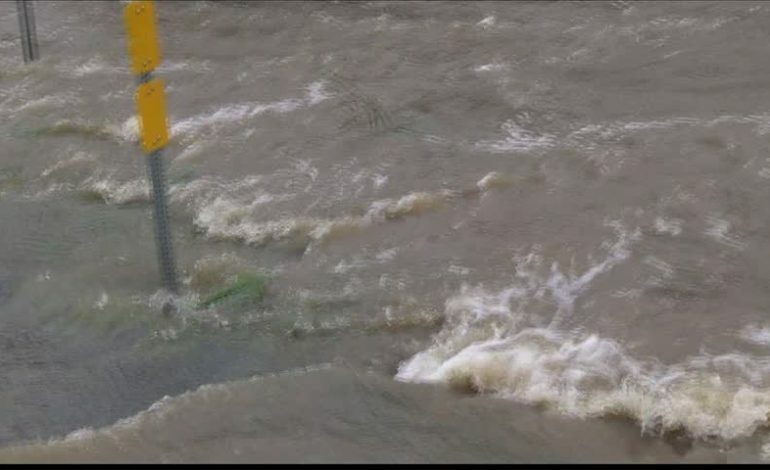 A scary site for folks in Gueydan where a levee off of Louisiana Highway 713 and Louisiana Highway 91 breached on Wednesday morning for a second consecutive year. The first and initial time this levee breached was during the August 2016 flooding. With last year’s August flood still fresh in his mind, Suire says the fact this levee breached a second time comes as no surprise to him. In 2016, The National Guard was called in to drop sand bangs at this very location. But since then, those sandbags have been removed and the damage to the levee, never repaired. Concerned parish leaders say for the last year they have been fighting to get this fixed but they keep getting tossed around until recently when Representatives from Congressman Clay Higgins office came out to assess the damage. But some residents fear this help is coming too late. 30 homes are in the path of this levee.